Kloutix wins Aegis Graham Bell Innovation award in the Analytics category for our cloud based self-service analytics platform – TRITON. 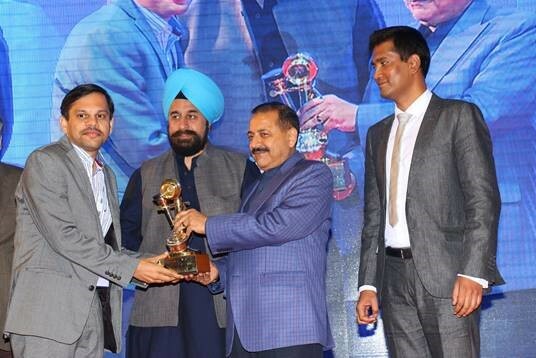 The award was given by Dr. Jitender Singh, Minister of State in the Prime Minister’s Office, at a function in Delhi recently and was received by our COO Makrand Jadhav. This recognition reaffirms our commitment to drive innovation in our analytical solutions and help customers overcome their business challenges.